It has been one of the great mysteries of the poison attack on a former Russian spy and his daughter in England: How did the two survive the Soviet-era nerve agent Novichok, thought to be one of the most deadly chemical weapons ever created? Now there is an answer, at least in part. It was fast, decisive action by British medics and physicians — aided by police investigators and government experts in nerve agents — who quickly diagnosed the threat. Still, the medical team thought the pair would not make it. On the afternoon of March 4, first responders had no idea what they were dealing with. Finding Sergei Skripal and his daughter, Yulia, slumped on a park bench in the town of Salisbury, medics suspected an opioid overdose. Yulia, 33, appeared unconscious, witnesses said. Sergei, 66, was staring into space. Later, investigators said they believed the Skripals were poisoned with Novichok, probably at their front door. Lorna Wilkinson, the nursing director at Salisbury District Hospital, told the BBC that the first clue that it was not a drug overdose was when Sgt. Nick Bailey, a police officer and first responder, was admitted to the emergency room with similar symptoms. “There was a real concern as to how big this could get,” Wilkinson said. The hospital and police did not know immediately whether this was a random accident, a targeted attack or even a terrorist attack, with an unknown poison. Wilkinson and the medical team at the hospital spoke with BBC Two’s Newsnight in detail about the case for a program to be aired here Tuesday night. Another clue in those early hours was when police learned that the elder Skripal was a former Russian spy and double agent living in retirement, openly, under his own name in Salisbury. The medical team realized that the pair were exhibiting symptoms typical of organophosphate poisoning — the substance used in pesticides and in nerve agents. Victims of organophosphate or nerve-agent poisoning can present with pinpoint-size pupils, vomiting, drooling and tears, followed by muscle spasms, seizures and cardiac arrest. “When we first were aware this was a nerve agent, we were expecting them not to survive,” Stephen Jukes, an intensive-care consultant at the hospital, told the BBC. The physicians consulted experts at nearby Porton Down, the British government laboratory that researches chemicals weapons, their detection and antidotes. The doctors told the BBC that the Skripals were heavily sedated, to receive artificial ventilation and to protect them from brain damage. Christine Blanshard, medical director at the Salisbury hospital, told the BBC that the staff treated the Skripals as patients first but also knew that the two were important witnesses to an international crime. 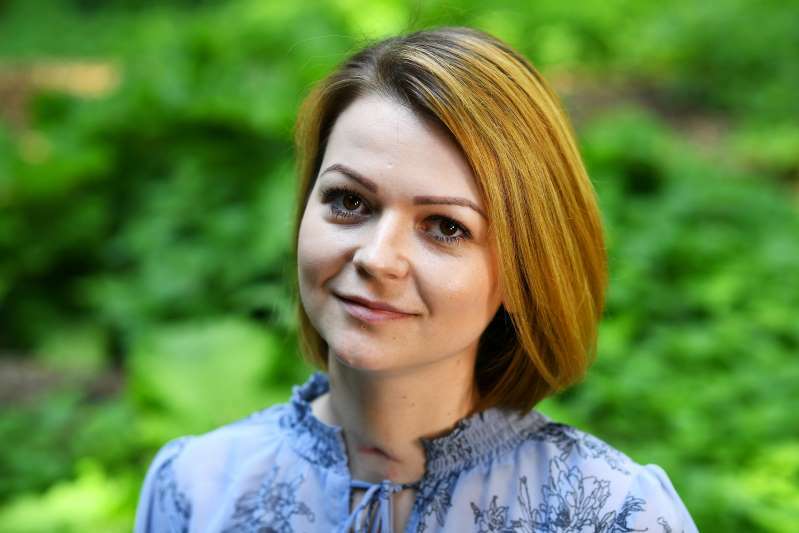 Yulia Skripal recovered more quickly than did her father. She was released from the hospital last month and is living in a “secure environment” under the protection of British police. “In the longer term, I hope to return home to my country” once she and her father have recovered, she added. Sergei Skripal left the hospital two weeks ago. He has not given any statements and is also living under British government protection in an undisclosed location. British Foreign Secretary Boris Johnson said that the attack on the Skripals was carried out by Russia agents and that it is “overwhelmingly likely” that the poisoning was ordered or approved by President Vladi­mir Putin. Russian officials have mocked the British, calling their investigation bungled, prejudiced and designed to stir anti-Russia sentiments.